Now you can see when a Item is new in the list with a small identification tag before the item. It is gone as soon as you hover over the item (you don’t need to use it). This way I hope players can keep a better track about the items they received, as #Crypchania got almost over 1000 items, weapons and armor to find, it is easy to loose track of all those goodies. 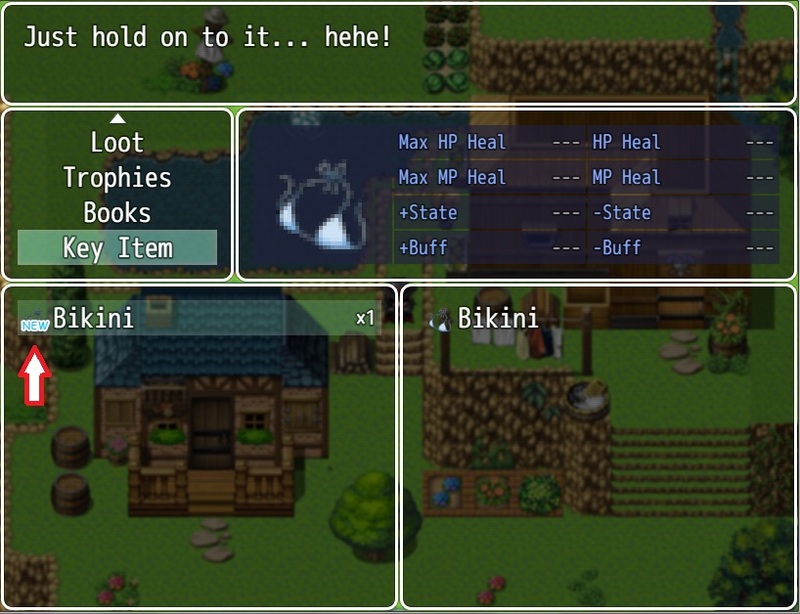 -Also I have completed the whole bikini finding quest, where you need to find at least 12 bikini’s around #Crypchania. You could start by the Mountain town – Taylor shop. On the left is Mikey, he is a perv… I mean a shy boy, that likes to spy on girls.